Normann Copenhagen's Bau is a sculptural pendant lamp designed by Vibeke Fonnesberg Schmidt. 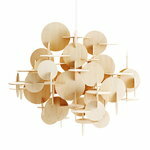 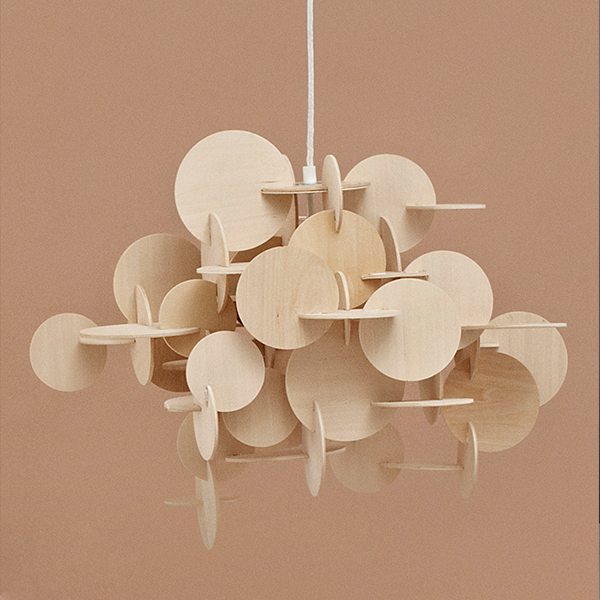 The pendant light consists of thin basswood discs that interlock to create a fascinating wooden structure. 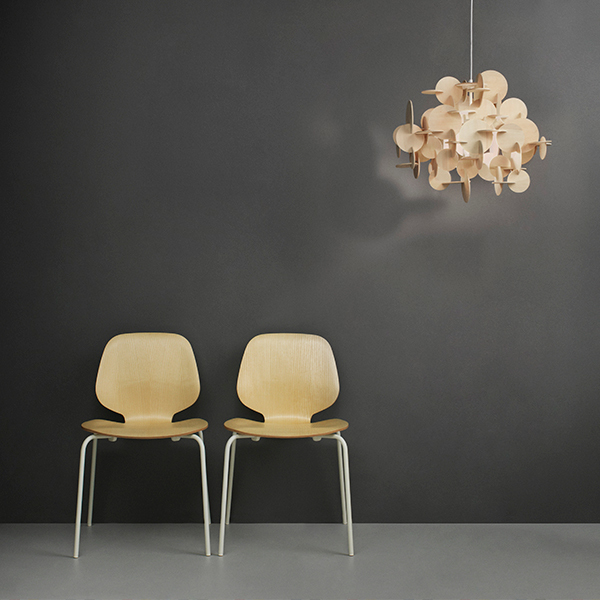 Bau is both a lamp and a decorative object – its look varies depending on the viewing angle. 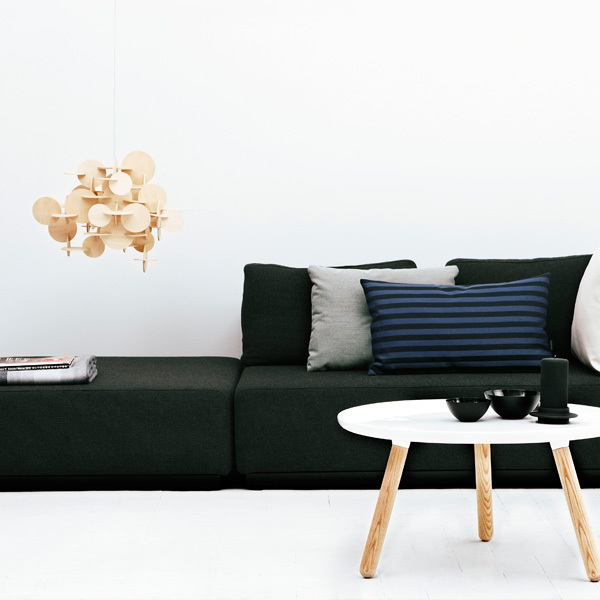 The larger Bau lamp has 80 parts and it comes flat-packed with an instruction manual. 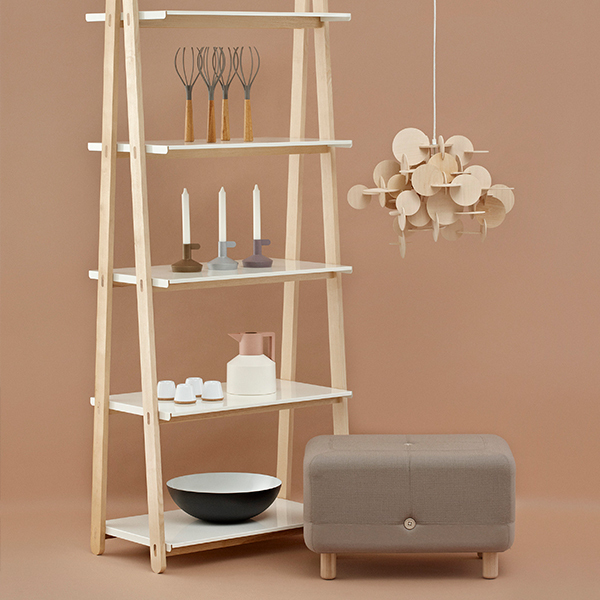 The Danish designer Vibeke Fonnesberg Schmidt (b.1967) graduated from the Danish School of Design in 1994. 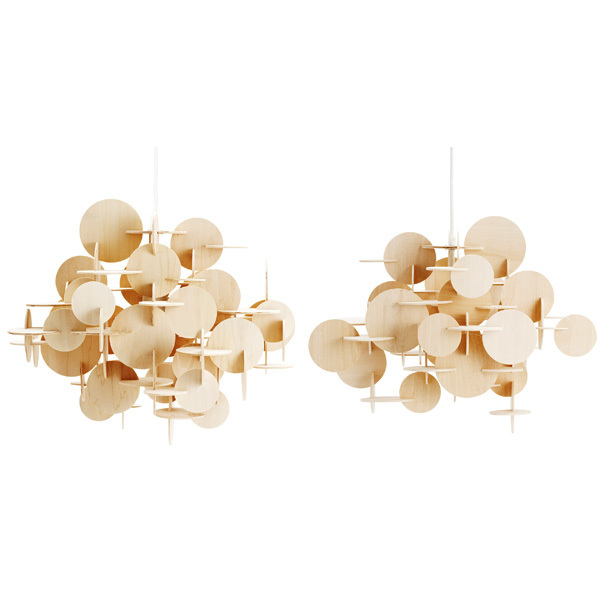 In the beginning of her career she was mainly working with unique ceramic pieces, but has, later on, turned to wood and lasercut plexi-glass. Fonnesberg Schmidt’s work is characterized by simple, geometrical forms.